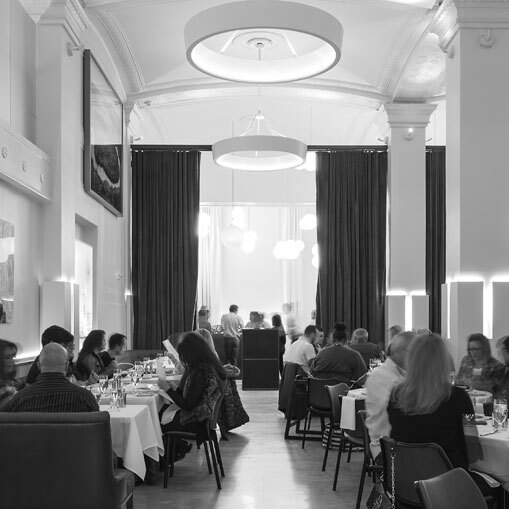 Chef Jonathan Searle’s menus highlight simple ingredients with a nod to Kentucky’s rich Southern heritage and Lexington’s own cultural and agricultural identities. His menu will change frequently, informed by the offerings of a deep network of local providers and the bounty of ingredients fed by Kentucky’s limestone-rich soil. Please check back often to discover your next favorite. Lockbox’s bar program celebrates Kentucky’s native spirit with a selection of more than 60 of the area’s finest Bourbons and Ryes. The cocktail menu rotates seasonally, offering both approachable aperitif cocktails and more complex spirit-driven cocktails. All spirits can be ordered in half ounce, 1.5 ounce or 2.5 ounce pours, encouraging trial and giving guests the opportunity to try new spirits and build their own flights. Wine for one, wine for all. Lockbox features an extensive and approachable wine list focused on American and French wines, with a comfortable mix of familiar styles and labels complemented by more adventurous options.